Can unloved brown coal be converted into an agricultural fertilizer that is orders of magnitude cheaper to produce than what is currently available? Sounds crazy – but it might just work. 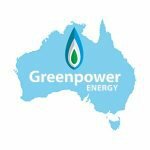 All indications to date demonstrate that Greenpower Energy Limited (ASX: GPP) has the goods to progress with the commercialisation of a technology – known as OHD – that is safe, environmentally friendly and involves inexpensive throughput costs which could change the game for farmers in Australia. GPP has the exclusive OHD rights to the Australian and New Zealand market for the next 15 years, meaning it could significantly shake up not only the fertiliser market, but also the $63.8 billion Australian agricultural sector. While it is steadily de-risking this technology before our very eyes, the next step for GPP will be releasing a PFS on a 20 tonne per day OHD manufacturing plant. It is not all about fertiliser for this $30 million capped company. GPP also has a lithium exploration play and potash play up its sleeve, with first assay results at its South American lithium projects already delivering encouraging results, with final assays imminent. There is significant newsflow to come from all three of GPP’s projects in the coming months, as it looks to shore up success on a range of new energy focused fronts. While the Australian agriculture industry is seemingly going from strength to strength and the total value of Australia’s farm exports is expected to hit a new record of $48.7 billion in 2016-17, $1 billion higher than the previous year, a market facing almost a polar opposite sentiment is Australia’s thermal coal industry. Imagine revitalising the coal industry and disrupting the agriculture market all in one fell swoop. That is the extent of this ASX listed stock’s ambitions. This ASX company plans to make money and fertiliser out of Australia’s vast coal reserves. And they plan to make it happen in seconds and to produce zero emissions from doing so.